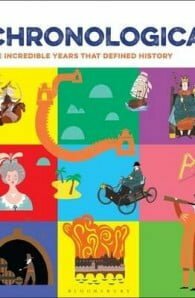 A fact-filled journey through 100 years of world history, exploring famous people and events in addition to lesser-known historical happenings. 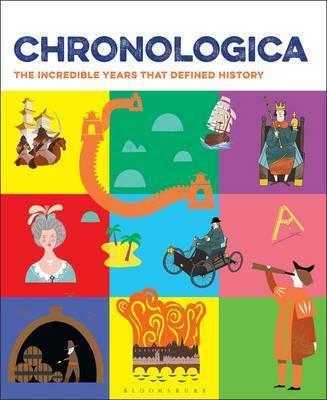 Chronologica takes the reader through an informative, eye-opening and often humorous journey across 100 years, covering well-known events and biographies, alongside little-known episodes which have had an impact on world history. Rather than an all-encompassing complete history of the world written in a dense essay formula, which can appear too overwhelming to embrace, Chronologica presents a more concise, punchy analysis of years and personalities which instigated big changes and were particularly formative in the making of the modern world. In addition to classic historical events such as the Battle of Agincourt, the book will also feature diverse subjects including the creation of the pizza, the founding of Nintendo and the first football league and cup double. Each year is presented over three pages and comprises three to five topics covering the year in question. For example, 1789 – why was this year important? George Washington was elected as the first American president, sailors mutinied on HMS Bounty and the Storming of the Bastille initiated the French Revolution. The book will be a global journey with events and people from every continent.